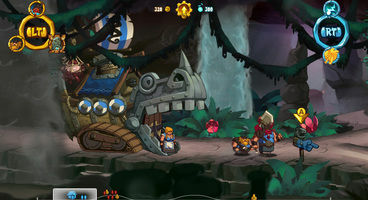 Swords and Soldiers 2: Shawarmageddon is the title of Ronimo Games’ upcoming sequel to the lovely 2D side-scrolling RTS Swords and Soldiers. Originally released on Nintendo WiiU in 2015, the new-and-improved version of the game is set to come out on Steam this November. The key addition to this re-release of Swords and Soldiers 2 is the inclusion of an online multiplayer mode, which is bound to add an entirely new layer of replayability for this unique take on the genre of RTS. 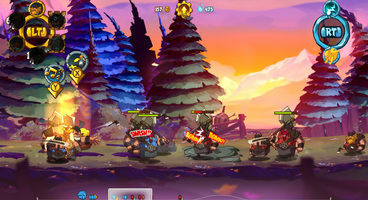 Swords and Soldiers 2: Shawarmageddon promises a whole lot of stuff, some of which – like the online multiplayer mode – has never been made available on the developers’ initial platform of choice. Players will get to choose from three wildly different factions: the Vikings, the Persians, and the Demons, and duke it out however they see fit. Aside from being able to join online matches for the first time ever using their very own Custom Armies, players will also have the chance to play through a rather extensive single-player campaign across a huge number of different levels and biomes. Swords and Soldiers 2: Shawarmageddon is slated to release on the 6th of November, and will be priced at €18.99 which is sure to make for a lovely change of pace from all the other modern RTS games.